New year resolutions are most often well intended and confidently undertaken. Unfortunately, they may have a tendency to be abandoned after a couple of months or so. 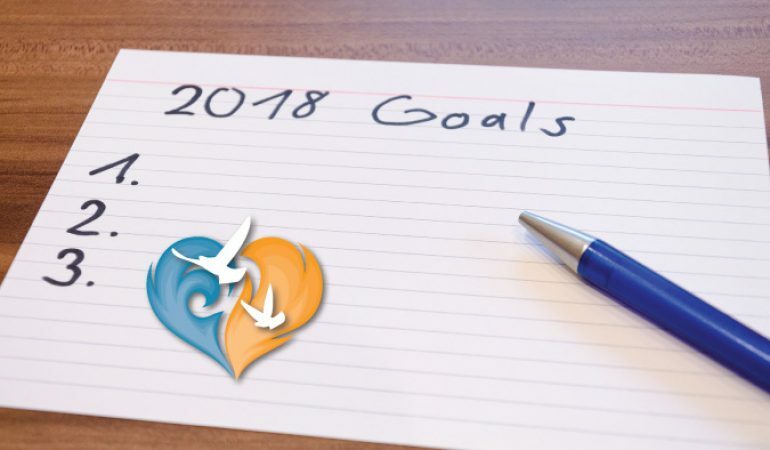 In spite of that regrettable trend, many of us continue to make resolutions at the start of each new year and make our best efforts to keep them. This new year, 2018, we decided to make a sort of resolution for ourselves at the seminary. At Saint Charles Borromeo Seminary, we picked for ourselves two virtues to focus on for the year. Of course, we should always be resolved to grow in virtue. By choosing two in particular, though, we hope to have a more defined path for our spiritual progress. After discernment and suggestions, we chose the virtues of charity and humility. It is our new year resolution to pursue the perfection of these virtues as we continue in formation towards the priesthood. The term virtue is derived from “vir”, the quality of man. Virtue is an idea of man-ness: a power or a strength. Referring to charity, humility, piety, or such, the catechism defines virtues as “habits” which are formed in a person’s soul. This is fitting; these virtues are powers and strengths which we build up we when are in the habit of practicing them. Someone who practices being pious, for instance, builds up the habit of piety in their soul and develops their strength in that ability. This is an important distinction because virtues are not actions. A person does not do piety; they do a pious action. Charity is the habit of giving for the sake of another person. It is often used as a synonym of love. Something done for love of another person — an act of giving — fosters charity. Our other virtue, humility, is a perfect complement. Humility is the habit of lowering oneself. It is fostered in the soul when a person denies himself in favor of goodness. This virtue is recognized as so important that Saint Charles Borromeo himself chose to use it as his episcopal motto. In respect to this, “Humilitas” now embellishes the Seminary’s crest in gold letters. Humility, therefore, sees a person lowering himself and charity sees him giving for another. Joined together, a person is in the habit of giving of himself to another. This combination is the goal which we have resolved to achieve in ourselves this year. Of course, in order to obtain the habit of these virtues, we have to practice actions which utilize these virtues. There are, as I understand it, two different types of actions we can make: internal and external action. An internal action is a choice we make within ourselves, an action where we are both subject and object. On the other hand, an external action is done to an object outside of ourselves. By this distinction, I have thought about two particular actions which incorporate both humility and charity. First, the interior action is that of empathy. 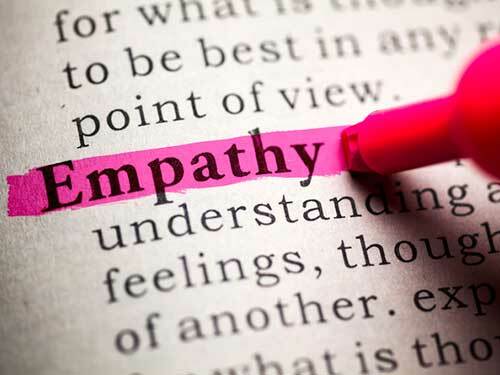 Empathy means the choice to make oneself aware of another person. It is the quieting of oneself (humility) in order to understand someone else (charity). Empathy indeed seeks to help another person, but it is done within oneself, which is why I would call it internal. Second is the external action of service. Service is the physical giving of oneself for the sake of another. In order to serve, one puts aside his own comforts, even his own needs (humility), and works for the good of someone else (charity). The range of specific deeds of service is broad and varied. Thus, to grow in these virtues we have chosen, we have for ourselves these specific actions. Having resolved to be humble as well as charitable, I think we should resolve as well to be committed to choosing empathy and practicing service. At the Seminary, we find for ourselves a variety of opportunities for empathy and service. From our weekly apostolate work in nursing homes, schools, and special need centers, to volunteer projects such as our homeless and pro-life ministries; in all of these, we can choose to foster charity and humility through empathy and service. In the end, it is only a fact of life that we may not be able to do everything, even if we would like to. We might not have the ability to take all of these great opportunities. That is okay. God calls us in His service in different ways. He gives each of us the grace to advance the virtue of our souls. All it takes is for us to remain steadfast in our resolutions. Even if the new year resolutions we make to exercise or eat healthier slip away, I hope that each and every one of us remains true to our resolutions to grow in virtue and attain the joy of holiness.